My son recommended you after buying blinds from you. I have followed his advice and my wooden blinds arrived very quickly, were the cheapest but of good quality and have really transformed the look of my room. 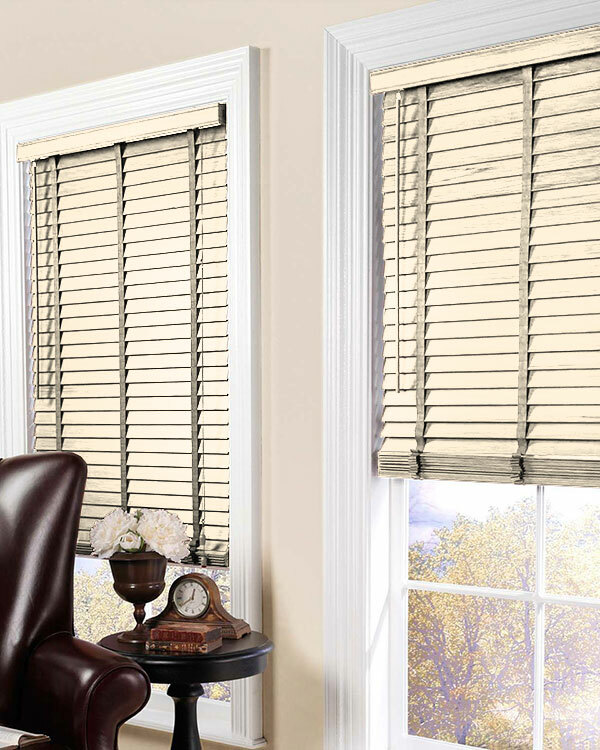 Not only do these blinds give you functionality, they look great too! Wooden ventians are highly popular and that only seems to be growing as time goes on. We are constantlty striving to make sure we have as much variety as possible and we really love the wide variation of tape colours too! You could really spice it up and add a different coloured tape to these cream blinds, the contrast would be gorgeous. The tone of these cream blinds is so incredibly versatile it's simplicity will look gorgeous within any colour scheme and bring harmony to your home.